Our strong attention to detail has resulted in a desirable destination to attract visitors from all corners of the globe. 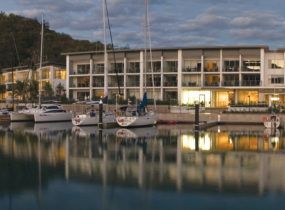 Located at Momi Bay, the 250-room resort is in the centre of a 21-hectare lagoon. The accommodation features 92 free-standing beachside bures, 22 overwater bures and 136 rooms in the hotel’s main accommodation buildings. 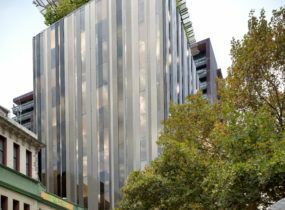 Buchan was appointed to the project in 2013 after the hotel’s initial construction was postponed by the GFC. The team made sure to incorporate the work undertaken on site before the hotel’s construction ceased, ensuring consistency and cost efficiency across all elements of the resort. Our design is sensitive to the resort’s picturesque lagoon setting and attunes to the resort’s unique point of difference. It showcases materials sourced locally. This includes rock from the site, traditional timbers and woven ceiling panels to ensure the resort looks authentic yet contemporary. Each bure features large glass windows and an expansive balcony to maximise the spectacular views from each room and to provide unmatched access to the lagoon and the beaches. The resort also features expansive function rooms for weddings and events, marina facilities, three signature food and beverage outlets, a range of recreational activities and services across the site.